Well man checks offer a great opportunity for male patients to assess their health in the round, and put in place preventative measures where necessary. Of course, well man checks can also identify conditions that may require treatment. Our well man checks are, like all our other services, delivered six days a week from Nuffield Health’s Warwickshire Hospital – meaning we can refer you on to further tests or treatment if necessary. With virtually no waiting times, and your choice of appointment times, our thirty-minute consultations offer ample time to assess your health and discuss all your concerns in proper detail. Well man checks take note of your lifestyle – including your diet, activity levels and alcohol intake – as well as your medical history, weight and height. 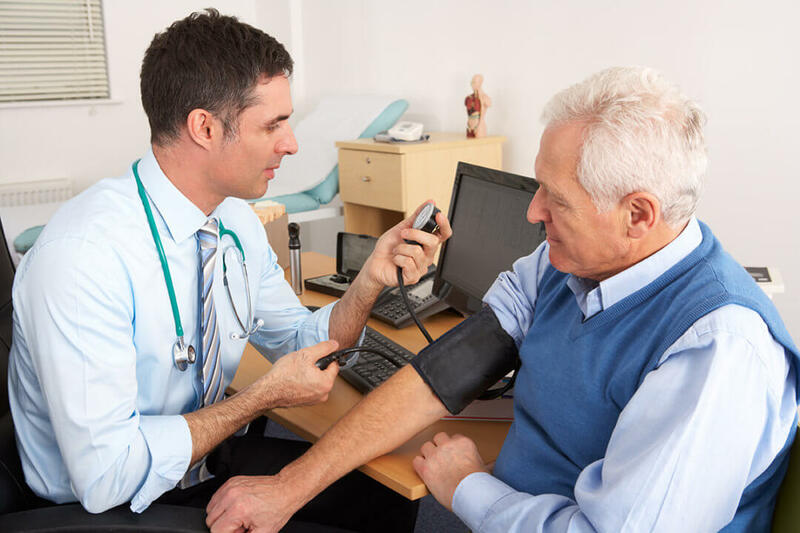 We will take your blood pressure, measure your cholesterol, undertake a urine test for diabetes or kidney problems; we will also test your vision and your lung function – and may even undertake an ECG to check for heart problems or a chest X-Ray if you are a smoker. We can refer you for a hearing assessment at a separate appointment. We make these tests available to men of all ages – although we recommend them primarily for older men. Our experienced male doctors will discuss your medical profile with you and help you deal with any abnormalities we uncover. Keep an eye on your health – contact us today to book your well man check.